These easy to whip up muffins are surprisingly light and fluffy, despite being grain free. DO NOT use a different flour for this recipe- this was written specifically with the properties of coconut flour in mind, so other flours will not work as well. Also, NOTE the oven temp. You will preheat the oven higher than you need, as this trick will make the muffins rise up tall and round. 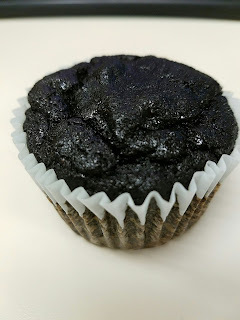 Add my cashew butter to the top of these muffins for a decadent healthy fat treat. Mix dry ingredients together, mix we ingredients together in another bowl. Add wet to dry. Stir just until moist. If batter is very, very thick, add more milk. Grease muffin pan, or use liners. Fill muffin cups to almost full. Put the pan in the oven, close the door, immediately turn oven to 375. Bake for 18-20 minutes until toothpick comes out clean. If you follow FMD, 1/3 of this recipe is a standard fat and partial protein portion. Eat this any time you need a healthy fat in your meal map.